Valentine’s Day is Every Day! G-Dinkas was formed by Kachuol Mel a.k.a Kc, Garang Dhel a.k.a. Matongriem and Dut Leek a.k.a Dut Chang kut or D-Chain. Since the band’s formation in mid-2009, the trio has pushed themselves to compose and produce unforgettable songs. G-Dinkas is currently led by the multi-talented member Dut Leek. 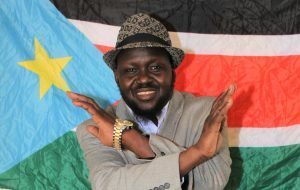 With hits such as “South Sudan is MY country”, G-Dinkas promote peace and unity among the people of South Sudan. And by using different languages such as Kiswahili, English, Arabic, Nuer, and Dinka to convey their messages, G-Dinkas show a sense of inclusiveness. What’s the origin of your group name G-Dinkas? G stands for Group and Dinkas is the tribe the bands’ members are from in South Sudan. So, G-Dinkas represents a Group of Dinkas that came together for the love of music and their heritage. Although most of the songs are sung in Dinka, they also sing in few other languages such as us Nuer, Arabic, English, and Swahili. Please list the name, age, school, and respective instrument of each band member? G-Dinkas was formed by three Lost Boys of Sudan (South Sudan) who are now in their late 30 ’s, Dut Leek, Penn Valley CC, plays traditional and Bass Guitar, Kachuol Mel, UMKC, plays traditional and Bass Guitar, Piano and Garang Dhel, Avala University, plays Guitar and Piano. Currently, the group is led by Dut Leek who is based in Kansas City, MO and managed by Aluel Poni Mayen-Gang. Over 30 years. Dut and Garang met 1987 in the Fudnido camp (Ethiopia) and Kuchoul was in his home village. When the government in Ethiopia was overthrown we were forced to leave the country to South Sudan. In early 90’s we relocated to Kenya and then later to the United States early 2000’s. When did you form your band? What inspired you to make music together? The summer 2009 for a purpose of sharing our journey with the world. To appreciate the help given to South Sudanese by all the host countries. To highlight the struggle that our people endured during the civil war and shed light on the current suffering of those that were not fortunate to make it out of South Sudan. In the beginning, we wanted showcase South Sudanese traditional music on the world stage before the independence. After the war broke out in December 2013, we started to compose songs with messages that promote unity and peace “We Are One People” found on https://store.cdbaby.com/Artist/GDinkas Also, as our contribution in the ongoing efforts of uniting South Sudanese in diaspora and back home, we created a social media campaigns #SouthSudanWeOne and #StopTheHate & SpreadTheLove so peace could be realized. We will be releasing our 2018 Album this summer in Kansas City, MO. So, mark your calendar, July 14, 2018. We will publish the full details on our Facebook page (G-Dinkas KC) and our website (G-dinkas.com). For additional information email us at Gdinkasmanagement@gmail.com. Which songs do you perform most frequently? Do you ever play any covers? Do you have a set playlist? We perform our hit song “Riang Panda” at almost every show. It is the most popular song which recaps the struggle South Sudanese people endured while fleeing the country to escape the war for safety in neighboring countries (Ethiopia, Sudan, and Kenya). No, we might consider it if requested by fans in the future. No, we do not have a playlist. Every performance is unique, and it is tailored to cater to the specific occasion and its audience. All of the group members were involved in writing the songs. Currently, the songs are written by Dut Leek with some assistance from the management team. 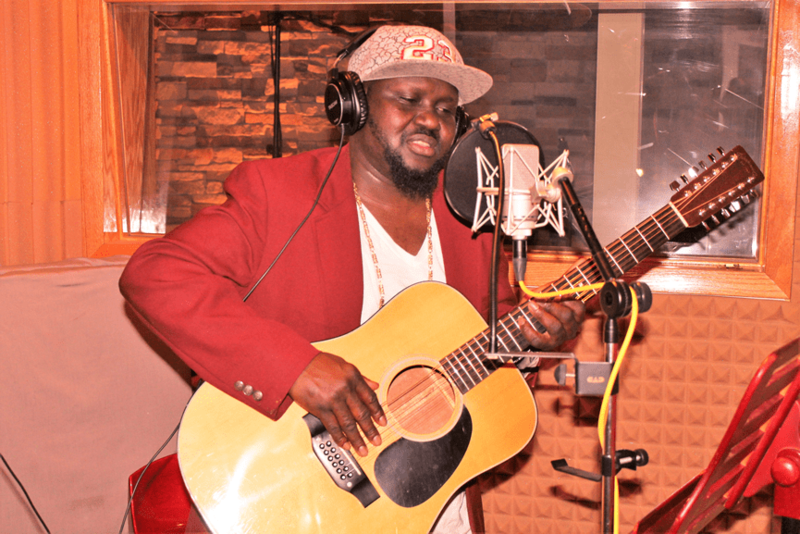 Most of the songs are tied to South Sudanese culture, traditions and heritage. The topic varies, historical “Riang Panda” and current events “Cieknhiim Miir Kewan Kac Okwei” which talks about why did we take arms, relationships “Nyanthin Panda”which talks about lost love, weddings, life experiences like “Mama Yin Ya Tak”, patriotic songs “South Sudan is My Country”, some humor “G-dinkas Musica”, Acknowledgments “Manute Bol” which highlights the late contributions to the people of South Sudan and “Raan Mading Aweil” recognizing the heroes whom sacrificed their lives for South Sudan and inspiring ones as well like “We Are One People”. Oh yes, but few will remain the same. What are your rehearsals generally like? Do you have a set time each week in which you practice or are rehearsals more spontaneous? Rehearsals are generally done at the band member convenience. Our rehearsals are spontaneous and frequent for upcoming shows. What has been your biggest challenge as a band? Have you been able to overcome that challenge? If so, how? Confidence, music was a hobby and the inability to keep engaging due to personal obligations. Yes and no. We were able to gain the confidence over time and turn music from being a hobby into the career. As for keeping the band intact, this is still work in progress. What’s your ultimate direction for your band? To have a successful group and be recognized internationally. To expand and recruit other talents under our lost Boys and lost Girls production. 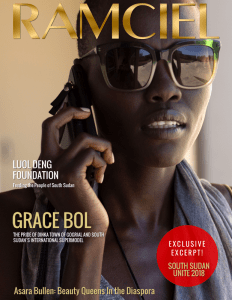 To continue to be the voice of the voiceless and bring forth the struggles of the South Sudanese people. To utilize our music to promote peace and unity in South Sudan and all over the world. One must determine and know what they are getting themselves into because things don’t come easy. Success can come quickly or slowly. If it is slow, don’t give up and keep pushing. Hard work and persistence is a requirement. Work on developing trust with the people you work with group members, manager, promoter etc. you need to be organized and set goals with a timeline. CDBaby: G-Dinkas – YouTube: G-Dinkas – Facebook: G-Dinkas KC or Gdinkas Management – Website: www. Gdinkas.com and by contacting us by email: gdinkasmanagement@gmail.com. Is there anyone you’d like to acknowledge for offering financial or emotional support? First and foremost, we would thank our fans, family, and friends for supporting us throughout the years. Special thanks to the Gang family, Aluel Mayen – G-Dinkas and Dr. Isaac Gang for his support and contributions. Our producers, DJ Owen and Mark Thiel of Markosa Studio, our dedicated sponsors, especially Tarik Henry and the entire South Sudanese communities all over the world and our beloved American friends. We love and appreciate you all. One love, G-Dinkas… The future begins with us.